Every week I will choose a different topic and pick my 5 Favourites. So picking something for the first week was kinda tricky, but anyone who knows me knows that I am pretty into certain TV shows. So, I wanted to share my 5 fave tv shows. Hopefully if you have never watched them, or never even heard of them, it will give you something new to try out. They are better than most of the rubbish on free to air TV at the moment. When I heard this show was about a Science teacher come Crystal Meth manufacturer I was a little sceptical. After the first Crazy episode, I was hooked. The star of the show is Bryan Cranston, (you may remember him as the Dad on Malcolm in the Middle) as the troubled Walter White. 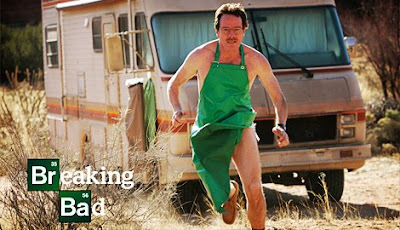 He is fantastic, I never knew I could feel compassion for a drug manufacturer, but in Breaking Bad, I do. Every episode just leaves you desperate for the next, I recommend getting a whole Season to watch so you aren't left hanging. Again another show that I wasn't sure that I would enjoy that much, but figured I would give it a shot. 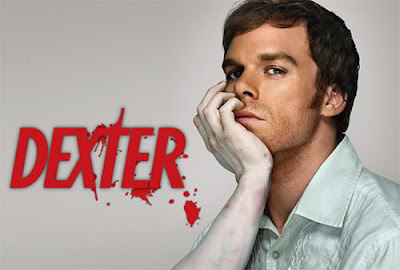 Dexter Morgan is a man with a "dark passenger." By day he is a blood spatter analysist for Miami Metro PD, the same work place as his verbally colourful sister Deb, a cop. His troubled past has led him to the life of a serial killer, but not just any serial killer. One who lives by a code "Harry's Code", who only kills those who deserve to die: murderers, rapists ect. He pushes the boundaries, and lingers on the line of getting caught. Again, another of those ones that I just can't stop watching once I start. Just so you don't think I am all dark and broody, I had to add a comedy to the list. There are many comedies that I love (The Office, Community, Modern Family) but I think that right now I really enjoy Parks and Recreation. Amy Poehler plays the loveable and crazy Leslie Knope, the assistant director of the parks and rec department in Pawnee, and is extremely passionate about her job. 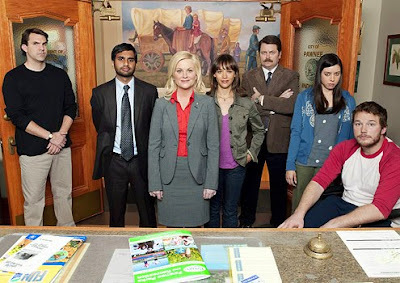 But I think my favourite character would have to be Ron Swanson (Nick Offerman), he is a hunter, loves all you can eat steak places, and avoids work at all costs, and hates the government.. even though he works for them. Anything that makes me laugh out loud multiple times when I watch is always a winner in my books! 4. 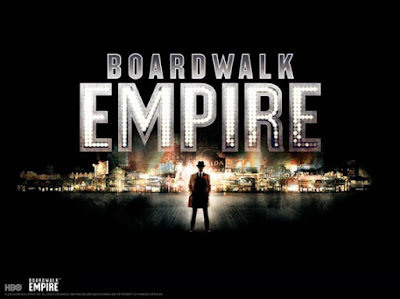 Boardwalk Empire: Another HBO show, and a period show, based in Atlantic City in the 1920's during the Prohibition in the USA. Steve Buscemi is a fantastic actor, and he plays the main character Enoch "Nucky" Thompson, the treasurer of Atlantic City. It doesn't take long to see that Nucky runs the city including the roaring underground liquor production and trade. It shows the corruption and futility of illegalizing Alcohol, and how it leads the way for gangsters such a Al Capone to start a roaring trade in the liquor industry. I love the costumes, the cars, the way of life is so well done, and although I never lived in the 20's and therefore probably couldn't pick the discrepancies if their were any, it seems pretty well done to me. 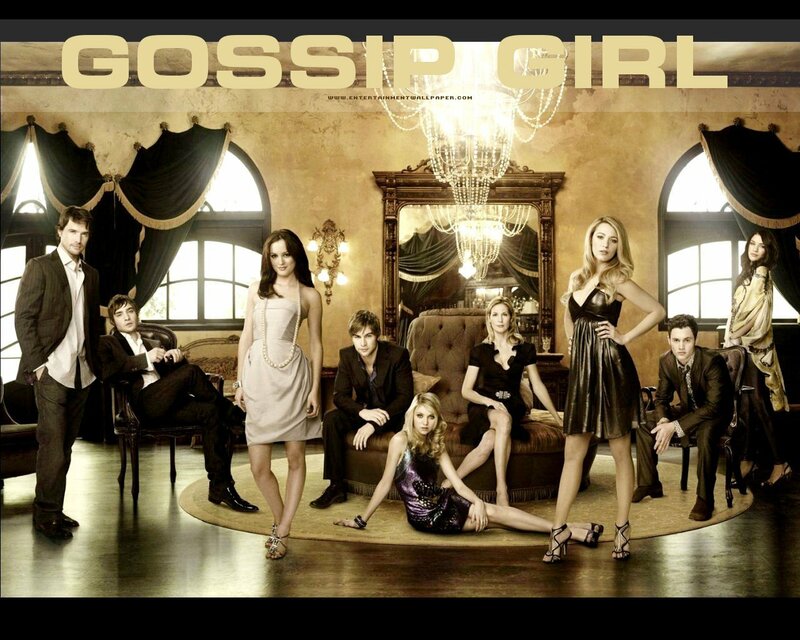 5.Gossip Girl: My true colours are shining through! Yes, I am suckered into the girly, girly shows as well. Others I enjoy are (Grey's Anatomy and The Good Wife). When you need some gossip, backstabbing and game playing in your life, instead of really doing it, just use Gossip Girl as your outlet. Gossip Girl revolves around the ever entertaining antics of Serena van der Woodsen, her best friend Blair Waldorf and their friends, the rich of the rich in Manhattans Upper East Side. It is on Season 4 right now, and still going strong. I like it because I don't really have to think when I watch it, I can just chill out and enjoy. Joel used to hate it, but he got suckered in at one stage (although he wont admit it). 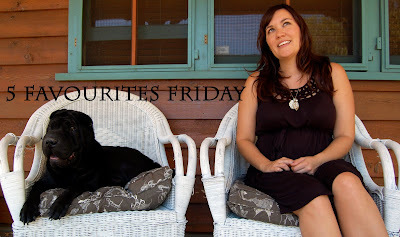 Hope you enjoy the first installment of 5 favourites Friday! !